Social enterprises operate in almost every industry, from health and social care to renewable energy, from retail to recycling, from employment to sport, from housing to education. Whatever they do, they do it differently from typical businesses, because they are driven by a social and environmental mission, and they are focused on the needs of the communities they serve. Can anyone set up a social enterprise? Yes, there are no barriers to starting your own social enterprise. However, as there is no legal definition of a social enterprise, any organisations can call themselves social enterprises if they choose, regardless of whether they meet any criteria to prove they operate in the interest of wider society. The Social Enterprise Mark was developed as a means to identify and distinguish genuine social enterprises, assessing them against sector-agreed criteria. If you’re planning to set up a social enterprise, we recommend that you seek professional advice to guide you. You may also be interested in our Social Enterprise Resource Pack, written in partnership with Stone King LLP, which contains guidance on setting up your social enterprise and achieving the Social Enterprise Mark. What data is available on social enterprises? Government figures estimate that there are 70,000 social enterprises in the UK, contributing £24billion to the economy and employing close to 1 million people. The survey showed social enterprises at the forefront of economic recovery, with 47% reporting an increase of turnover in the past 12 months. The NatWest SE100 Annual Data Report 2016 also revealed a growing sector, with an average growth in turnover of 61%. This unique index tracks the growth and performance of the UK’s social enterprises. In 2016, the Index collected data from 2,120 social ventures, and discovered that they had collectively pumped £934million of profits back into society. How can I find a social enterprise? Our online Directory of Accredited Social Enterprises lists all social enterprises which have been awarded the Social Enterprise Mark, and are proven to be trading for people and planet. You can browse the full list, or can search by keyword, organisation, or location. 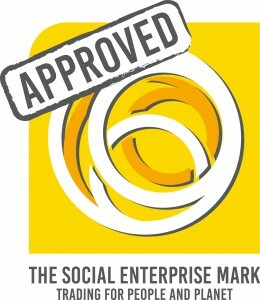 The Social Enterprise Mark is the only internationally available accreditation that independently guarantees that a business operates as a true social enterprise, with the central aim of using income and profits to maximise the social benefits created, which takes precedent over generating personal profits for owners or shareholders. The Mark is proof that a social enterprise has a distinct motivation for being in business – trading to serve social purposes. It safeguards the integrity of credible social enterprises, by guaranteeing a social enterprise is creating benefits for people and planet through business. What distinguishes an accredited social enterprise is its commitment to continually maximising social outputs with income generated through trading. The qualification criteria for the Social Enterprise Mark specifically requires a commitment to investing a principal proportion (at least 51%) of annual profits into defined social purposes. There is also a requirement to submit responses to a set of social impact questions, at initial application and at full review (every 3 years), illustrating how a social enterprise has strived to achieve its social objectives. What is the purpose of the Social Enterprise Mark? As there is no legal definition of a social enterprise, any organisations can call themselves a social enterprise, regardless of whether they meet any criteria to prove they operate in the interest of wider society. The Social Enterprise Mark was developed as a solution – to protect social enterprise principles through an impartial assessment process, subject to an independent Certification Panel. The Social Enterprise Mark evolved as a means of helping genuine social enterprises to stand out from the crowd, driven by the desire of the sector to distinguish their distinct motivation for being in business – trading to serve social purposes. Social Enterprise Mark CIC is the accreditation body responsible for awarding the Social Enterprise Mark, and upholding the standards of genuine social enterprise. The company was set up by the social enterprise sector to assess applications for the Social Enterprise Mark against sector-agreed criteria. It assures the social enterprise business model remains ethical, credible and commercial through accreditation. Social Enterprise Mark accreditation provides instant credibility – proof that an organisation is operating primarily in the interest of wider society. To find out more, please visit the Key Benefits webpage. The Social Enterprise Gold Mark is the route to social enterprise excellence, offering enhanced accreditation to social enterprises which can demonstrate best practice in key proof points. Please click here for Gold Mark FAQs. Who is awarded the Social Enterprise Mark? All applications for the Social Enterprise Mark are subject to a robust assessment process, to ensure they meet the qualification criteria (summarised below). Approval is not automatic, and not everyone applying for the Social Enterprise Mark is successful, although advice is always given on required changes. Approximately 30% of organisations applying, or expressing an interest in applying for the Social Enterprise Mark, are assessed as ineligible. Existing Mark Holders’ eligibility is also re-assessed on an annual basis, to ensure they continue to meet the criteria. Once awarded the Social Enterprise Mark, a business can display the Mark to prove they are trading to serve social purposes. Some Mark holders are well known, like The Big Issue, Age UK Enterprises, Fusion21 and University of Salford. But there are many more which are not as high profile that are working across the UK and beyond to provide innovative solutions to some of the most pressing issues we face in today’s society. A full list of Social Enterprise Mark Holders can be found in our Directory of Accredited Social Enterprises. What does the Social Enterprise Mark say about a business? The Social Enterprise Mark is only awarded to credible social enterprises that can prove they operate primarily to make a positive difference to society and/or the environment. Being awarded the Social Enterprise Mark is proof that a social enterprise has a distinct motivation for being in business – trading to serve social purposes. What distinguishes an accredited social enterprise is its commitment to continually maximising social outputs with income generated through trading. The qualification criteria for the Social Enterprise Mark specifically requires a commitment to investing at least 50% of annual profits into defined social p03/SEMurposes. The criteria also includes a requirement to submit responses to a set of social impact questions, at initial application and at full review (every 3 years), illustrating how a social enterprise has strived to achieve its social objectives. It is instant credibility and proves to stakeholders that an organisation is operating primarily in the interest of wider society. Is it a membership body? Social Enterprise Mark CIC is not a membership body and approval for the Social Enterprise Mark is not automatic – not everyone applying for the Social Enterprise Mark is successful, but advice is always given on required changes. All applications are subject to a robust assessment process, and existing Mark Holders’ eligibility is also re-assessed on an annual basis, to ensure they continue to meet the criteria. There is often confusion between the various ‘badges’ and memberships available to organisations looking to prove their social and ethical credentials. To help illustrate the key differences between the Social Enterprise Mark and other schemes, we have produced a useful comparison table. International applications will be subject to an additional administration fee of £150. *Please note – applicants in fee tiers 1-4 will be charged via quarterly standing order payments. It is the applicants’ responsibility to set up the standing order for payments, please contact us with any questions about this. Why is there a charge for accreditation? Social Enterprise Mark CIC is itself an accredited social enterprise, awarded the Social Enterprise Mark following a rigorous assessment process by the independent Certification Panel. This means we trade primarily to achieve social purposes. In order to generate income to achieve our social objectives, we must be also be committed to commercial success. The accreditation process can be costly and the annual licence fee scale, based on the Mark holders’ annual revenue, reflects the additional work necessary for assessing such applications. It also allows us to invest in maximising the credibility of the accreditation process. The Gold Mark was launched at the House of Commons in 2014, where the inaugural recipients – Integrated Care 24, John Taylor Hospice, and University of Salford – were presented with the first Social Enterprise Gold Marks by former MP Hazel Blears. Click here to find out more about the pioneering Social Enterprise Gold Mark holders. Applications for the Gold Mark are externally assessed by our Certification Panel and applicants are asked to set new goals for continuous improvement on a rolling basis every three years. The assessment process sets benchmarks to measure how far you’ve come and to also determine where you go next. It also develops your company culture by involving everyone in the process. Please click here to view the Gold Mark assessment framework. What are the benefits of the Social Enterprise Gold Mark? What is the purpose of the Social Enterprise Gold Mark? When milestones are reached, where does your social enterprise head next? If being the best at what you do is one of your organisation’s goals, how do you know you’re on course to achieve this? Social Enterprise Mark Holders called on us for help and we’re proud to have developed the Social Enterprise Gold Mark as a route to social enterprise excellence. The Gold Mark highlights social enterprise excellence and best practice. It is an in-depth continuous assessment which requires an assessor to measure performance against additional criteria and evidence over and above the Social Enterprise Mark’s criteria. It gives your business some goals to work towards and review over the longer and medium term. What are the criteria for achieving the Social Enterprise Gold Mark? The Gold Mark assessment process is designed to be flexible and recognises that different social enterprises have different strengths. It is therefore possible to achieve the Social Enterprise Gold Mark by demonstrating operational excellence across a range of different interests covered by the three criteria, without necessarily being outstanding in all aspects of each one. Please click here to view the assessment framework for achieving the Social Enterprise Gold Mark. If you have any questions, or would like to discuss these minimum requirements and the assessment process further then please contact the helpline on 0345 504 6536, and we will arrange for an assessor to contact you. The additional cost for the Gold Mark (over and above the annual licence fee for the Social Enterprise Mark) will be calculated according to the size of the organisation and the complexity of the assessment process. The licence is renewed annually, and every three years the organisation will undergo a full on-site assessment. The price is available on application as it will depend on the complexity and size of your organisation. Please note that the fee is chargeable on initial application, due to the additional work involved in the assessment of applications for the Gold Mark. This section contains answers to frequently asked questions about the Social Enterprise Mark application process. Can anyone apply for the Social Enterprise Mark? Anyone can apply for the Social Enterprise Mark, although approval is not automatic. All applications for the Social Enterprise Mark are subject to a robust assessment process, to ensure they meet the qualification criteria (summarised below). Not everyone applying for the Social Enterprise Mark is successful, although advice is always given on required changes. Approximately 30% of organisations applying, or expressing an interest in applying for the Social Enterprise Mark, are assessed as ineligible. Existing Mark Holders’ eligibility is also re-assessed on an annual basis, to ensure they continue to meet the criteria. If you aren’t sure if your organisation is eligible for the Social Enterprise Mark, you can use our handy criteria checklist. If you have any questions about your eligibility, or the application process, please contact Rachel Fell or call 0345 504 6536. How do I apply for the Social Enterprise Mark? It is simple to get started with your application – you can register your interest by completing the short registration form. Once you have submitted your registration, a member of the team will be in touch to discuss your eligibility and to support you with the next steps of your application. You can visit the Application Information page for full information on criteria, costs, and the process of applying for the Social Enterprise Mark. If you have any queries or require any help with completing your application, please contact our team on 0345 504 6536, or email Rachel Fell. What are the criteria for achieving the Social Enterprise Mark? Do I qualify for the Social Enterprise Mark? To be awarded the Social Enterprise Mark, you will need to meet the sector-agreed qualification criteria. You can use our handy criteria checklist to see if you are eligible for the Social Enterprise Mark. If you have any questions about your eligibility, or the application process, please contact Rachel Fell or call 0345 504 6536. This section contains answers to frequently asked questions for existing Social Enterprise Mark holders. 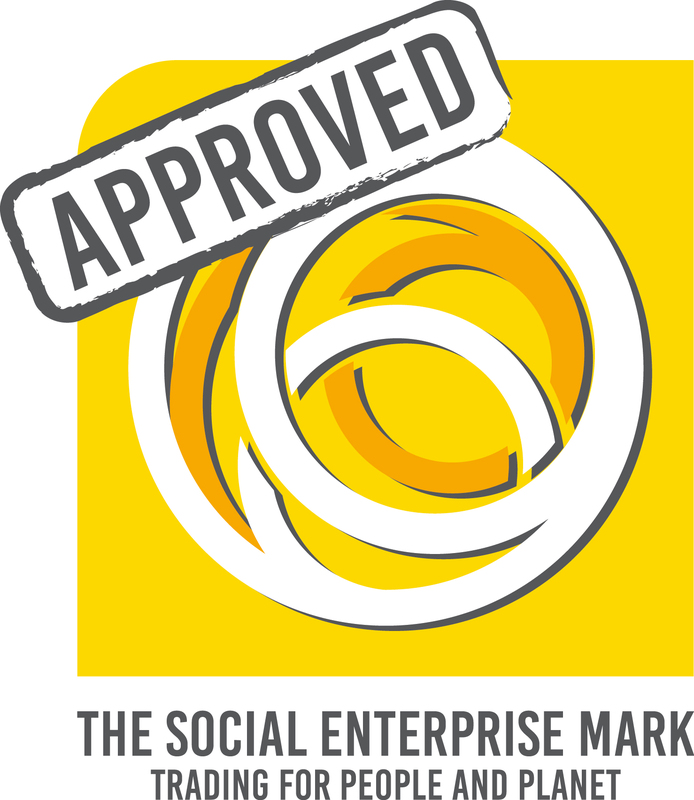 Do I need to renew my licence for the Social Enterprise Mark? Yes. The Social Enterprise Mark is an independent accreditation, for which there is an annual licence, which is reassessed each year to ensure you continue to meet the criteria. We will complete an annual review of your licence to ensure you still qualify, with a full reassessment every 3 years. Our friendly and helpful team will guide you through this process. If you have any questions at all about your annual licence or the renewal process, please call 0345 504 6536 or email Rachel Fell. How do I access the exclusive resources for Mark holders? You can visit our exclusive Mark Holder portal, where you can find everything you need to know to make the most of your status as an accredited social enterprise with the Social Enterprise Mark. This section contains resources, offers, news and promotions, available only to Social Enterprise Mark Holders. You will require a password to access this page – this has been sent to all Mark holders. Please get in touch if you are unsure of the login details. How can I amend my directory listing? You can review your listing in the Directory of Accredited Social Enterprises. We are able to feature multiple images on each listing, as well as embedding videos and social media links. If you wish to make any changes or additions to your profile, please contact Sophie Butland or call 0345 504 6536. How do I articulate my social impact? The Social Enterprise Mark supports social enterprises to distinguish themselves from other business models, through helping you to articulate and demonstrate the social benefits created. There is a requirement to submit Social Impact Statements, at initial application and on annual renewal, illustrating how you have strived to achieve your social objectives. As part of our exclusive Social Impact Service for Mark holders, we automatically create Social Impact Declarations, to enable you to clearly communicate how you are ‘Making a Mark’ and creating genuine social impact. These declarations are featured in the online directory and on the Making a Mark webpage. We realise that demonstrating and proving impact or value has long remained a difficult question for many social enterprises. Therefore, we offer tailored support and guidance to applicants and renewing Mark holders in producing your Social Impact Statements. Please get in touch to speak to a member of our experienced team about your social impact, and any other queries about the assessment requirements. 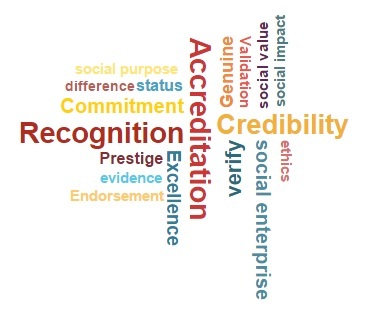 What benefits are available to me as an accredited social enterprise? Social Enterprise Mark accreditation provides instant credibility – proof that you are trading for people and planet. That is, operating primarily in the interest of wider society.